The Grand Opening Day of CANON Dhub held on November 16, 2009 at the West Bridgeway of SM CITY BACOLOD was indeed a success! CANON officials and Mr. Kelly Uy, President and CEO of Dhub were overwhelmed with the acceptance of the Negrense as the first ever CANON Concept store sets foot in the City of Smiles. Prior to the BIG day, the FASHION THROUGH THE LENS held at The Event Centre of SM City Bacolod last November 15, 2009 wowed the audience as CANON showcased the latest digital cameras and imaging solutions through fashion. Visit the newly opened CANON DHUB store at 212-213 West Bridgeway, SM City Bacolod and get a chance to win a CANON IP1300 Printer! CANON keeping its promise in Delighting Us Always. Click the picture to see a clearer view of the schedule. Click the picture to see a clearer view of the poster. Do you see yourself at SM Supermalls? Here are the latest job openings at SM City Bacolod. 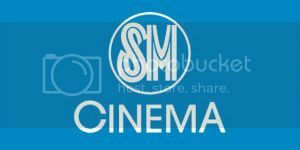 SM City Bacolod is your shopping and entertainment destination in the City of Smiles.